Video Modeling made simple and fun! 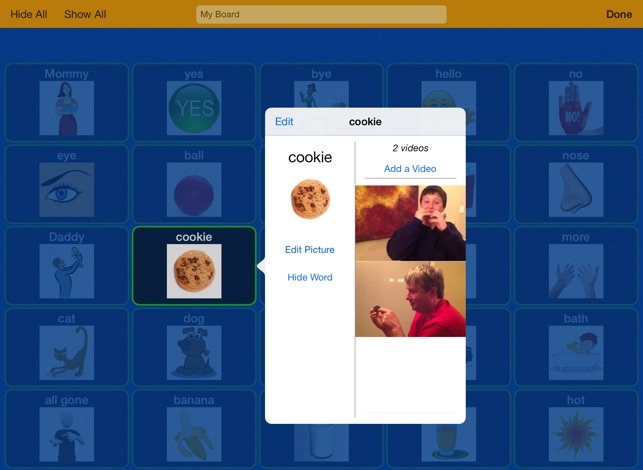 WordToob is designed to make learning words and new skills fun and engaging through pre-stored and customized videos. People of all ages and intellectual levels enjoy watching videos. 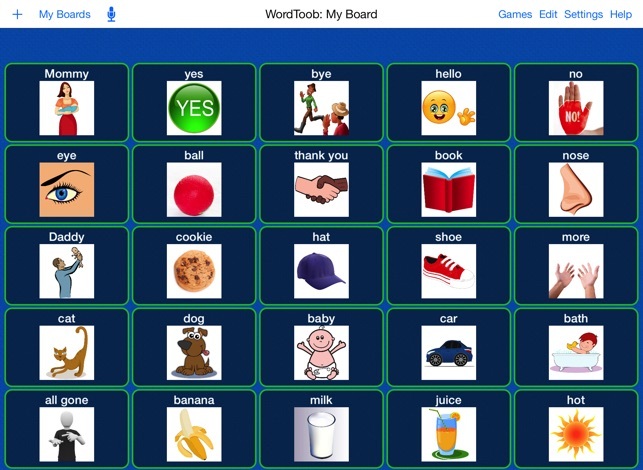 With WordToob they can now play an active role in learning while doing what they love. 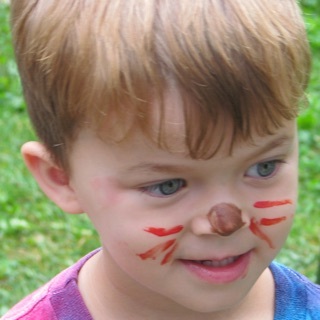 Customizing the app with personalized videos is easy but the learning experience is powerful! Learning language requires combined information from the senses, whether just beginning to learn one’s native language or learning a second language. 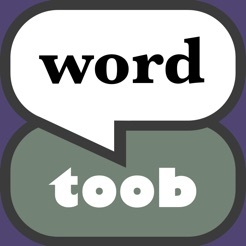 WordToob makes this fun and easy by pairing words with illustrative videos. The learner not only benefits from playing WordToob but also through engaging in creating personalized videos. 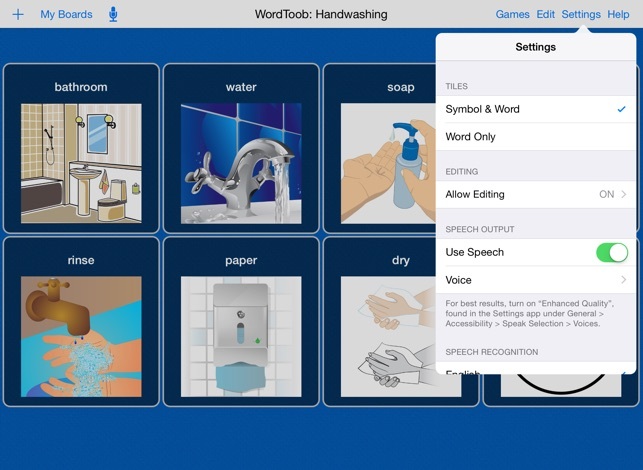 Personalized videos can be easily created with the iPad camera and attached to words within the app to maintain novelty and increase motivation. Video modeling is a highly researched and effective method of teaching. New behaviors and skills are learned by watching a video of someone else or themselves performing the target behavior then imitating that behavior. Video modeling has been used to teach social skills, communication skills, play skills, perception of emotion and adaptive skills. 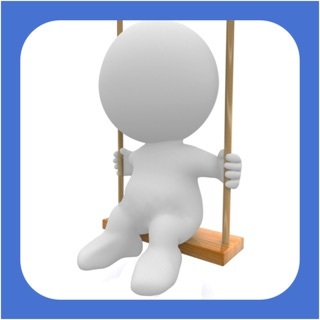 The entertainment aspect of videos motivates and reinforces the engagement of the learner. Video modeling has been found to be exceptionally effective in teaching individuals with autism. Some of the reasons may be that the learner only has to attend to a restricted field of focus, the repetitive presentation of models and situations, less demand for face-to-face interaction, and their ability to process visual information more readily than verbal information. Studies show that skills taught through video modeling are generalized and learned faster. WordToob makes video modeling easy. 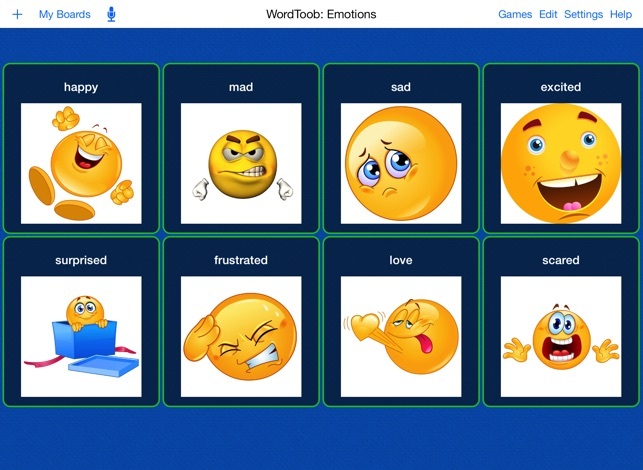 The app includes a board that illustrates emotions. New boards are easy to create and personalized videos are simple to include giving the teacher, parent, or therapist the freedom to target many different skills limited only by their imagination. This was just what I was looking for to work with my students. The only thing that would make it better would be the ability to share the boards with others. It would be great to be able to create a board on one ad and the. Deploy it to others in the district. Being able to backup to Dropbox would be ideal. This is the funnest app! I’m teaching verbs to young students with autism. Their eyes just lit up when the communication board turned into a short video. So engaging as well as useful!